As you know Law branch always plays an important role in the development of society. It is the bridge to handle all conflicts, disputes between companies, organizations, individuals or large corporations in business or life. Law firms come in a variety of shapes and sizes, ranging from the single-attorney law practices to the multi-state, multi-staffed legal organizations. Depending on your legal issue, there are a variety of law firms to choose from, generally broken down by size, type of practice, (for example, litigation, criminal defense, or transactional), location, or legal topic (like personal injury law, family law or tax law.) 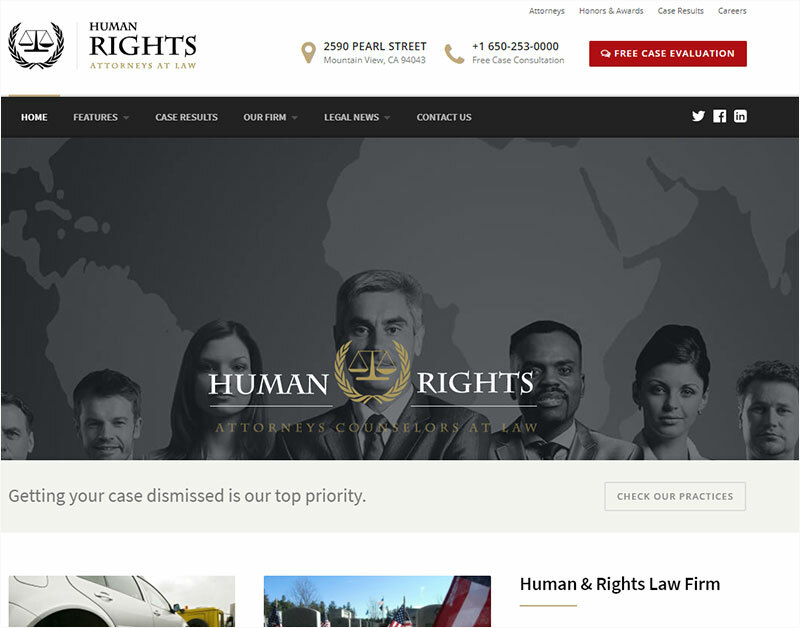 The online market is also a challenge for lawyers or law firms when more and more people widen online business by setting up and building Law websites to counsel or protect human being’s rights with little-to-no-budget. 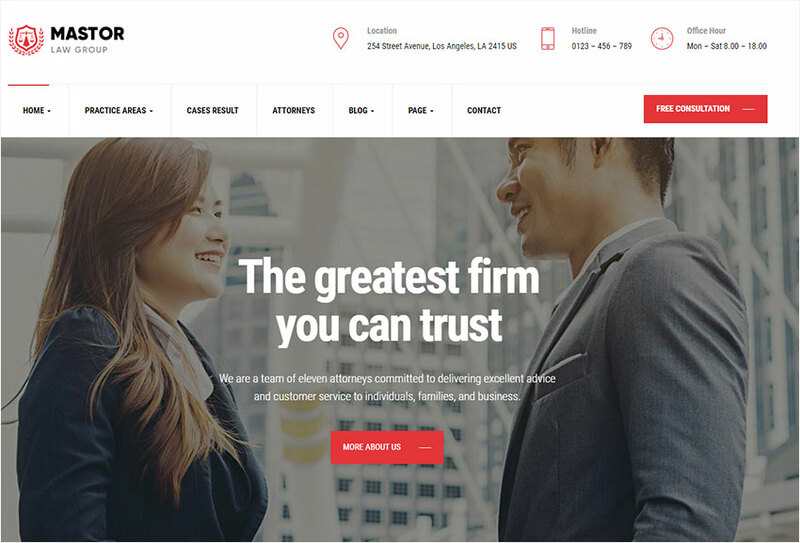 In this article, WPOpal has collected and hand-picked 10+ Best Business WordPress Themes for Attorneys and Law Firms 2019 that you can use on your website. No wasting too much money to create a professional website making a great impression on customer’s eye but bring big efficiency to your business success. Why don’t we try it on doing experience in this new field? Please take time to discover and immerse in this great flow! How to build a Law website with WordPress? If you haven’t built a website yet, you need to get a domain name, a web host (StableHost preferably) and install WordPress on your web host first. We have created a step by step guide on how to start a WordPress blog, you could go through it. 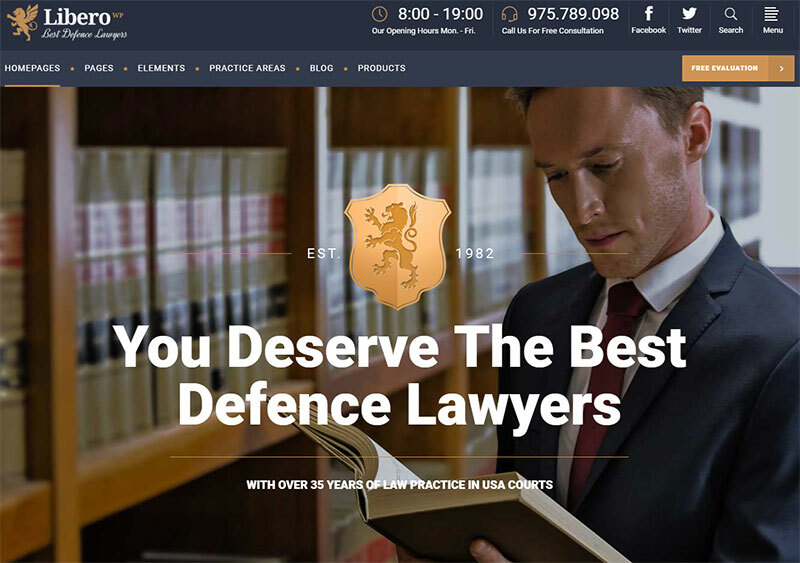 After you install WordPress, install one of these Best Law Firm WordPress Themes to make your website perfectly. 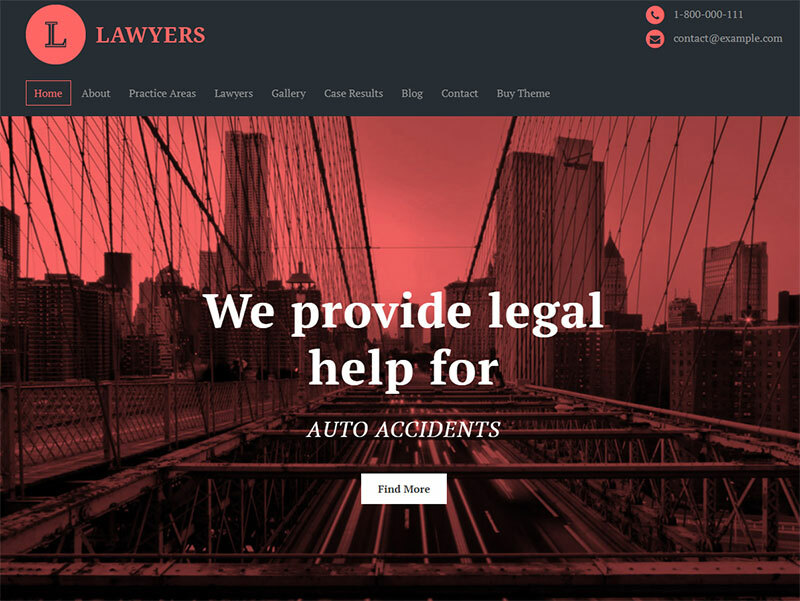 Lawyer & Attorney is a well designed, clean code, sophisticated and elegant, professional and robustly built, modern and tech-savvy WordPress Theme. 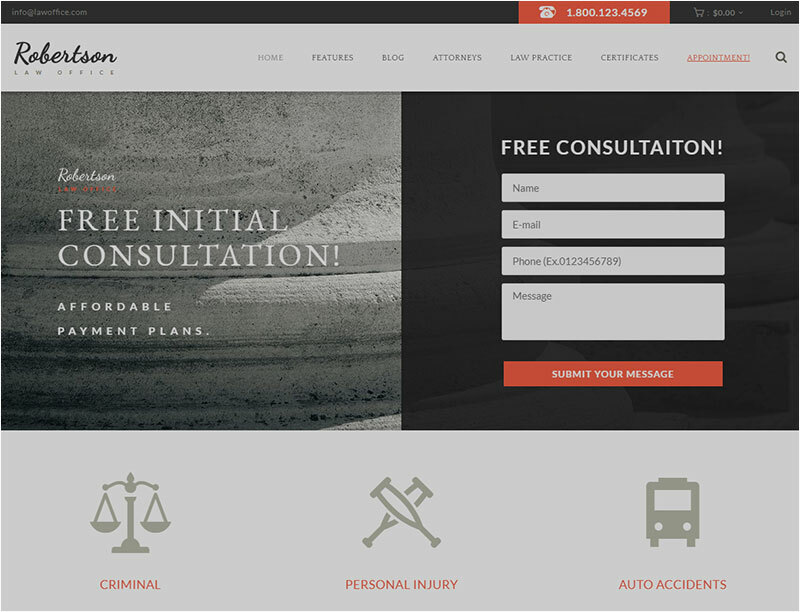 The theme is built up for Legal Advisers, Legal offices, Lawyers, Attorneys, Barristers at Law, Counsels, Solicitors, Advocates and other legal and law-related services and it is suitable for any kind of legal and financial activity – Barristers at Law, Counsels, Solicitors, Advocates, Accountant, Consultant, Consulting, Counsellor. It has purpose oriented design and comes with opening hours, Free Consultation Form, practice areas, case results, Q&A and team members pages, endless layout possibilities, unlimited styles, powerful theme options… It is suitable for users with zero programming skills as well as advanced developers. 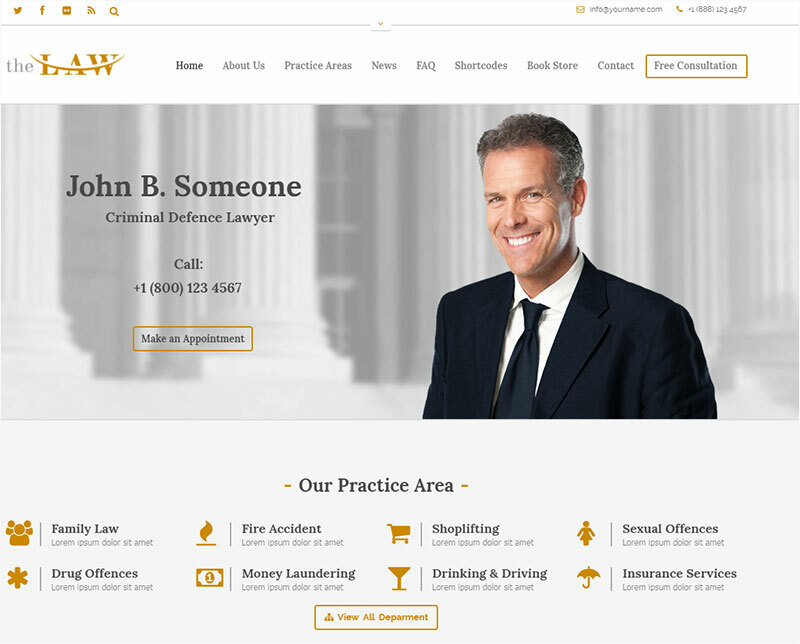 Are you looking for a Law Firm & Legal Attorney WordPress Theme which presents Your Trust, Dependability, and Professional Your Law Group or Legal Service Company? Our MASTOR will be your smart choice. It brings both Huge Advantages For Lawyer Companies & Customers. YOUR CUSTOMER will be impressed with professional Law Firm or Consultant Image, get a wide range of Law Offer Service or Review of Complete Successful Case of Companies or reinforce their loyalty service with impressive Data statistics and Friendly Review. They get access to any Devices with a nice interface and smoothly run on Laptop, MacBook, … All of them will make more customers more satisfaction. The Theme comes loaded with more than 20 different page layouts. It’s super easy to build any page with build-in shortcode manager and 30+ shortcodes to choose from. Customizable Theme Options Panel allows to easily manage the entire Theme. With built-in Theme Demo Data Installer, you can import a complete set of our Theme Demo – pages, posts, widgets with a just single click. No need to mess around with XML files! 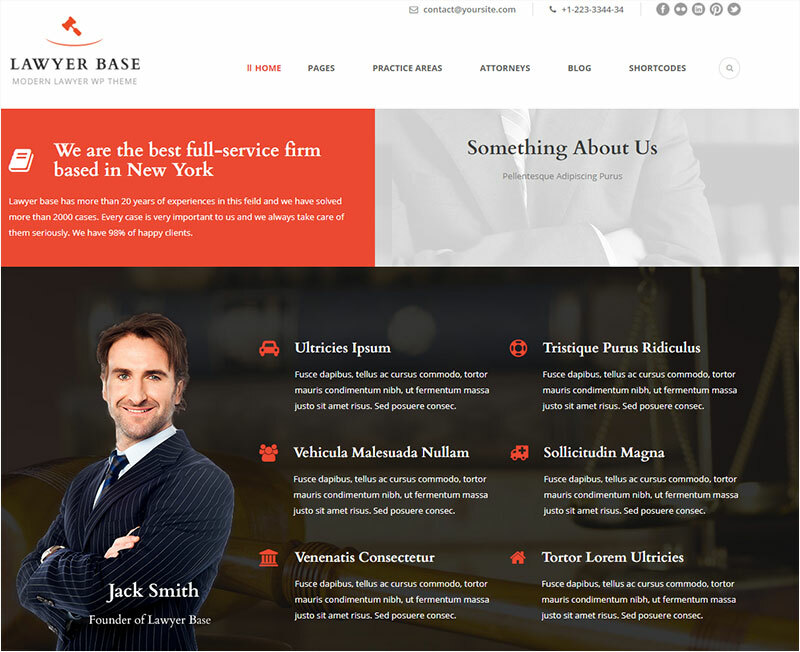 Lawyer Base is a clean responsive WordPress theme especially for Law Firm, Law Advisers, Legal Officers, Barristers, Consultancy, Finance, Solicitor, Advocates, Counsels. (It can also be used with a general corporate website as well.) 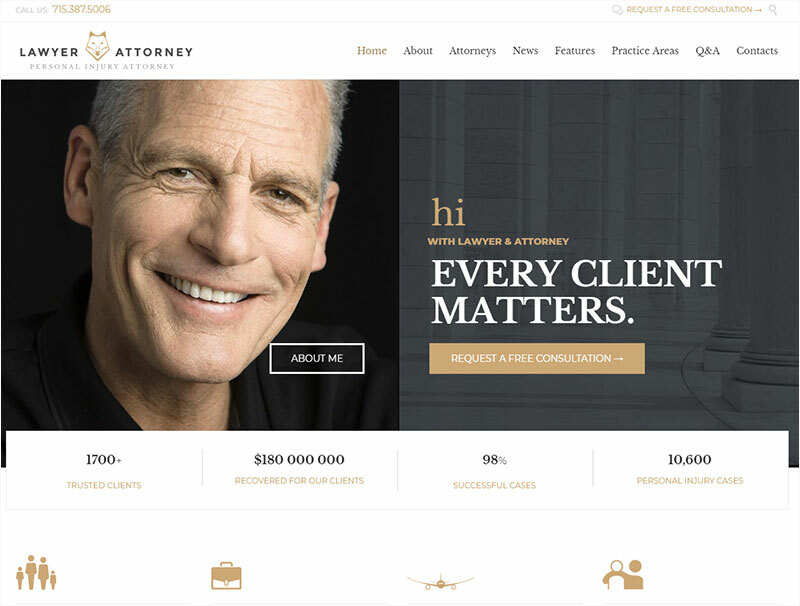 This theme comes with necessary features for law firm website such as Attorney post type. It allows you to create attorneys’ profile easily. 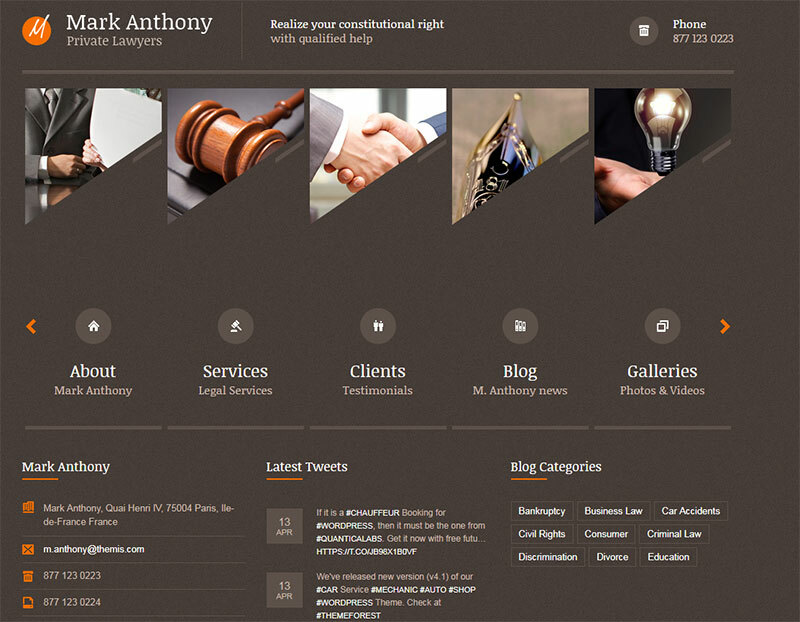 We also provide a multi-columns layout for attorneys listing. Lawyer Base also has Practice post type. It has 3 styles of layout for this. This theme also supports the most popular e-commerce plugin, Woocommerce. Moreover, this theme also supports WPML plugin to allow you to create a multi-language website. The theme has a widgetized homepage ( 14 custom home widgets ) , 2 custom header options and 2 footer options to choose from – contact form footers like in the live example or classic 3 footer widgets. This can be easily changed inside the Admin Panel. The theme uses Twitter Bootstrap framework and Font Awesome icons. Lawyers are now WPML compatible. 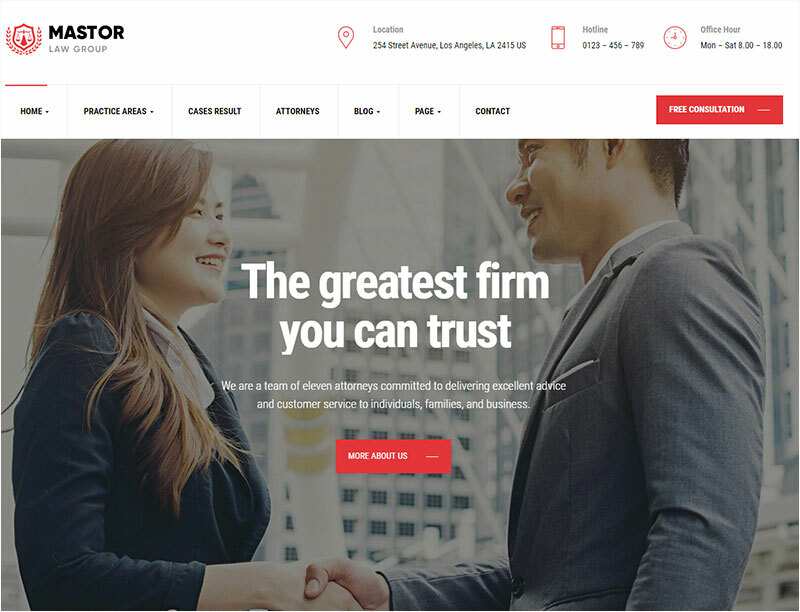 Law Office – Lawyer WordPress Theme is an ideal solution for a legal adviser, legal office, court consultant, lawyer, counsel, attorney, barrister at law, counselor, legal lawyer, solicitor, advocate, legal officer, legal advisor, accountant, lawsuit counselor and other legal services and law services. It is great for any practice area: business law, civil rights, criminal law, family law, insurance law, human rights, traffic ticket attorneys, judge litigation, judicial process, a consultancy. By making lawyer blog or legal blog you can share your experience. 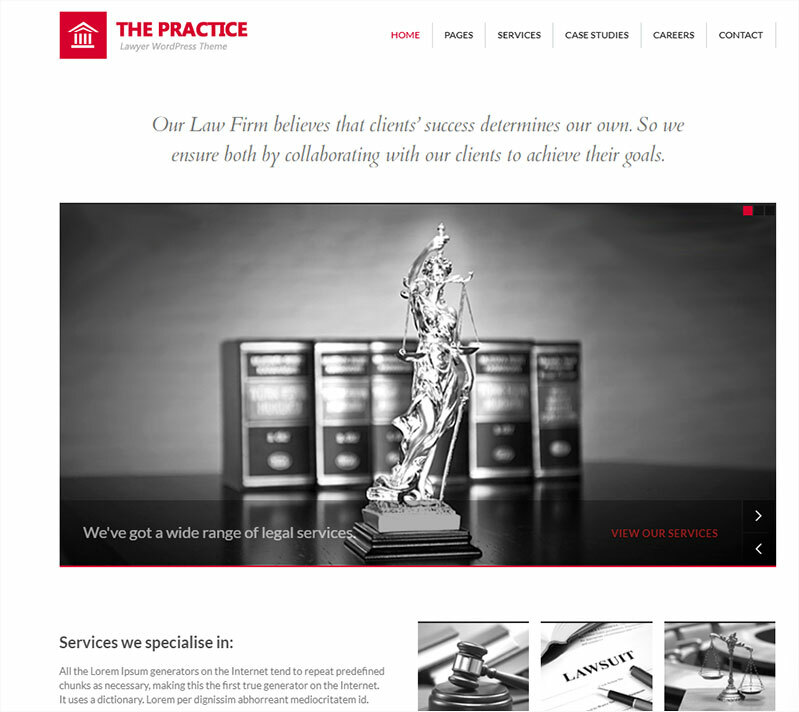 The Practice is a clean and stark looking lawyer WordPress Theme specifically designed and developed to meet the needs of attorneys, legal offices, consultancy firms and many others that need a corporate website. Some core options & features included in the theme such as Advanced Visual Builder. Only drag & drop the design elements you want on the canvas and create complex pages at a drop of a dime. With Color Schemes you can modify all colors of the theme with ease. Megamenu is a user-friendly, highly customizable drop-down menu. Their implementation makes it easy to create creative menus. There are a lot of inside vivid features waiting for you to discover. Please take time to experience!